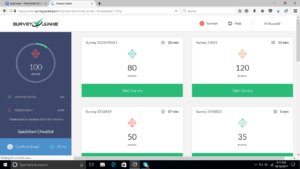 Survey Junkie Review – daily cash surveys and quick paid surveys to make you cash now! Our goal is to make this one of the most complete Survey Junkie reviews out there. If you want to complete paid surveys for money, Survey Junkie is one of the best. 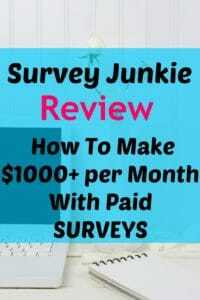 This Survey Junkie review will show you how to get started with Survey Junkie and other online paid survey sites. Completing paid surveys at Survey Junkie can potentially help you to earn $10-$20 per hour working from home. Paid survey sites have a bad reputation for being ‘scams’ and often people will ignore the good sites if they have had a bad experience with one of the scammy paid survey sites in the past. Getting paid with daily cash surveys is one of the quickest ways to make money online. The Survey Junkie paid survey site is one of the best that we have ever tested. In this Survey Junkie review we will do a deep dive into the Survey Junkie site. Here is one of the best videos that we have found that explains how to maximize your earnings from Survey Junkie! It is probably one of the best Survey Junkie reviews that we have found. Summary: Survey Junkie is our readers favorite site for quick paid surveys! Get paid for your opinion online! We rarely use any other paid survey sites anymore – Survey Junkie pays well and is very easy to use. When we recommend Survey Junkie (SJ) to people, they usually ask us – ‘but is Survey Junkie legitimate?’ We always tell them that we use it and make money from the Survey Junkie app. We have used it for over a year now and we know that we can rely on it for some extra cash. Sign-up for SJ for free! Survey Junkie is a legitimate way to make extra money – they even made it into this Forbes article about paid surveys as a way to make extra money. Survey Junkie is also registered with the Better Business Bureau (BBB) and there are no complaints against them. We have also talked to the employees at the company and they are very professional and helpful. Plenty of people have written Survey Junkie reviews, most of them are quite positive. The Survey Junkie paid survey site is definitely legitimate and we have made money by completing the paid surveys. Survey Junkie never asks you to pay them – this is a good sign that Survey Junkie is a legitimate site. NEVER pay a survey site to join, if a survey site asks you for a fee to join, do NOT sign-up. Asking for a payment to join is a red flag that the site is con. Overall, we believe that Survey Junkie is a legitimate website that does pay fairly and promptly for the completion of paid surveys. They do not have any weird hidden fees or anything like that. We do make some money with quick paid surveys but blogging is our primary source of online income. Honestly, until recently, we did not think that it would be possible to make money online part-time. We made $10,533.28 in September 2017 by blogging and expect to see this increase as time goes on. 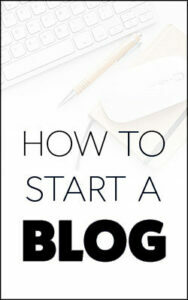 Our easy-to-use tutorial can help you to start a blog step-by-step. It really is easier than you think! However, before we got involved with blogging we would make extra money online by completing paid online surveys. Survey Junkie was one of the best sides that we have used to make extra money online. If you need to make some money quickly, paid surveys are a great solution. However, you need to be careful with your choice of paid survey site because there are plenty of scams out there that are a complete waste of time. Today, I want to introduce you to one of my favorite legitimate paid online survey sites. The earning potential will never be enough to make you a millionaire, but you can make $10-$20 with work and a good strategy. 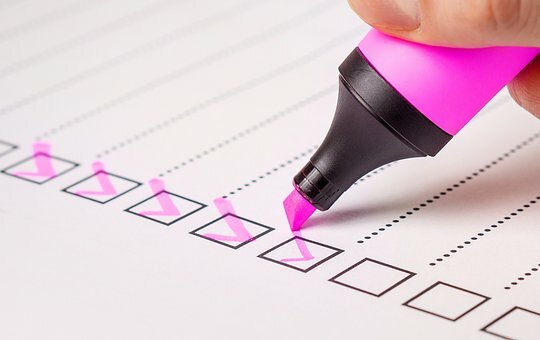 If you would like to read more about the dozens of other paid online survey sites that I use and recommend, you can find the list here. Can you really make money with Survey Junkie? Yes! We have done it and so can you! We have earned up to about $12 per hour by completing paid surveys on the site. Making money by taking surveys is becoming more and more popular, probably because completing paid surveys is something that can be done at home in your own time. Paid surveys can take a lot of your time, however, so it is important that you only use paid survey sites that compensate you fairly for your time. These can be quite hard to find. How Much Can You Make With Survey Junkie? I joined Survey Junkie to see if it would be worth the time required for filling out paid surveys. I quickly made $10 in a few hours of very easy work while listening to a few TV shows that I like. The pay is probably close to or just above minimum wage, but don’t let that put you off! If you treat Survey Junkie like a full-time job, you can make more money and benefit from lower taxes etc than if you worked at a ‘real’ job. The Survey Junkie paid survey site is just one of many sites that offer paid surveys. If you want to make more money, we recommend that you sign up for some of the other survey sites to ensure that you have enough paid surveys available to you. We recommend these other paid survey sites. Survey Junkie has been around since 2013. They are owned by Blue Media Ventures, a company based in Glendale, California. I have driven by their headquarters and spoken to employees there – they are a legit, real and honest company. They will pay you to take surveys and give your honest opinions about a variety of different topics. Essentially you are providing market research or feedback to companies in exchange for rewards. These companies pay you for your opinions because your feedback will help them improve existing products or design new products that will be big hits! This is typical market research and it is a big business. Here is a short video from the company that explains (very simply) what you can get from using the site. The nice thing about these paid surveys is that you can work on them as much or as little as you like. I estimate that you could probably make $1000+ per month with this app. Yup, I am serious! We are trying to build long-term businesses, so we do not invest a lot of time completing paid surveys these days. However, if our blog income decreases or we have a financial dry spell – we will definitely turn to Survey Junkie! If you want to make more money with paid survey sites, I highly recommend signing up for as many of these survey sites as possible so that you maximize your survey options. The basic requirements to join Survey Junkie are very easy (and free!). The user simply chooses a username, password, and enters a valid email address. You can also just use Facebook to sign in. Sign-up and give it a try, it’s free! You receive 25 points as a bonus just for signing up. Survey Junkie utilizes a point system, and when you get over 1000 points ($10) you can cash in your points for either cash or gift cards. I reached the $10 minimum very quickly. By completing your profile will earn you another 50 points. It is very quick and easy to fill out your profile and I highly recommend that you do, because it will help you get offered surveys that you qualify for. Note: Make sure that you fill out your profile accurately. This will help them to recommend the best surveys for you. When you first log in to Survey Junkie you will be greeted with an attractive user interface, here is a picture of mine when I initially signed up. Your current points and cash are displayed on the left and your available survey offers are shown on the right. I like how there are estimates of the time required to complete each survey. I have found that the estimated survey completion times are usually quite accurate. Other Survey Junkie reviews that I have read also point this out as one of the best features of the user interface. The best thing about these surveys is that you will be rewarded for surveys that you don’t even qualify for. Usually you will see a message like ‘Sorry, you do not qualify for this survey!’ if you are in a demographic that the survey designer does not require input from. Usually this is a little bit annoying but don’t let it annoy you – it just means that you are not in the customer target group for this particular survey. Survey Junkie states that on average you will only qualify for about 1 out of 4 surveys that you start to take. They tell you very quickly if you do not qualify. If you start a survey and you are not qualified – they will give you a few points just for your trouble. This is huge because some other survey companies will waste so much of your time finding out that you are not qualified. This is something that I really love about the site. Survey Junkie earned points are displayed on the left panel (see above screenshot) and the points can be converted to real cash. Most surveys will earn you between 100 and 200 points, so it doesn’t take long to reach the threshold. I like how Survey Junkie immediately adds the points you earned after a survey to your account. Payment is prompt when you reach the minimum $10 balance. A large variety of payment methods are possible. Quick paid surveys are awesome! Sign-up and give it a try, it’s free! Other Survey Junkie reviews that I have read all seem to agree that there are many awesome things about this site. Fast and quick paid surveys. The surveys don’t take you off to random sites and make you buy anything or sign-up for nonsense. Does not require personal information to sign-up. Honest about the time commitment per survey. It is possible to make up to about $50 per day on this site – I have not personally done this though and I would not find it pleasant! Making that kind of money with just Survey Junkie would take some serious hard work. Higher payment per survey would be nice. There is no Survey Junkie app – the Survey Junkie paid surveys are designed to be completed on a computer. But that is really all I can complain about with the site If you want to earn an extra $1000 in a month then it is possible with the survey rewards, if you treat it like a real job. Pro Tip: I listen to podcasts while I complete surveys and it is pretty amazing how time just flies by. We highly recommend that you sign-up for a free account. 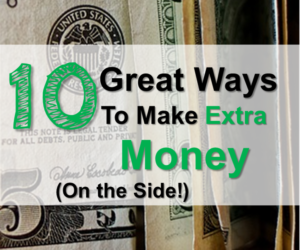 If you are looking to earn some extra money then it is a really good starting point. Survey Junkie is very popular (Over 100,000 people currently use it) and we can see why! There are just so many of these survey companies and we find them to be great side earners. Check out our other favorite paid survey sites (Survey Momma and PineCone Research) to add many other income streams to your arsenal. We love the Survey Junkie paid survey site and we think that you will as well! 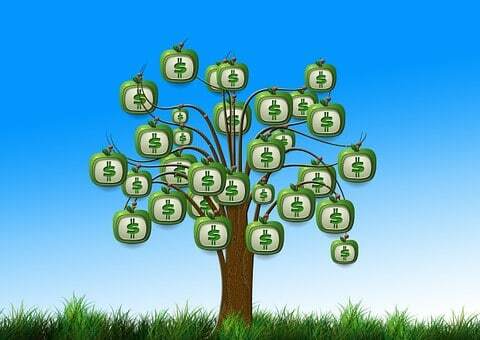 Paid surveys can be an easy way to add a little bit of extra income. I hope you have enjoyed reading our Survey Junkie review. We hope that you have enjoyed reading our Survey Junkie Review! Give the Survey Junkie paid survey site a try to see how much extra money you can make. Completing surveys for money can be a great way to make some extra cash! We love Survey Junkie – highly recommended! I started to do surveys on survey junkie, but got totally confused. The surveys on SJ, and other sites are the same. Why is this? Hi Debra – Survey Junkie sometimes takes you to other paid survey sites, then when you complete the survey it takes you back to the Survey Junkie dashboard. It should then pop up ‘Congrats you just earned 50 points’ or whatever the survey was for. The points then show immediately on the left hand side of your Survey Junkie Dashboard. The surveys are different on Survey Junkie from each other (I think this is what you mean?) but they often start out with the same questions about yourself etc. I think this is to test how honestly you are answering questions or to double check if you are qualified for the surveys. I have not had to actually sign-up for the other survey sites that Survey Junkie directs you to, so I am a little confused about that. Have you managed to get it figured out?